InSight was the eighth spacecraft to have landed successfully on Mars, all of which have been operated by NASA. 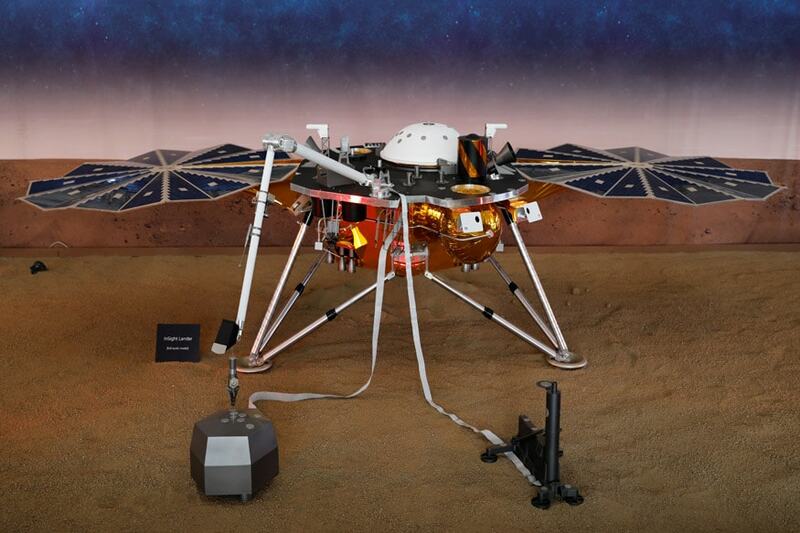 NASA's InSight spacecraft, the first robotic lander designed to study the deep interior of the red planet, touched down safely on the surface of Mars on Monday, loaded with instruments to detect planetary seismic rumblings never measured anywhere but Earth. Launched on May 5, 2018, the announcement of the successful touch down on the red planet triggered celebrations across the world as the InSight team back on earth finally breathed a sigh of relief. Cameras were rolling to capture reactions in the NASA control room when two members of the Jet Propulsion Laboratory broke into an elaborate yet fascinating multi-step handshake that could put any sports celebration to shame. "Our @NASAInSight spacecraft stuck the #MarsLanding! Its new home is Elysium Planitia, a still, flat region where it’s set to study seismic waves and heat deep below the surface of the Red Planet for a planned two-year mission." The victory handshake soon went viral on Twitter, as many believed it was literally out of this world. It wasn't just the handshake; the first photo snapped by NASA InSight drew plenty of attention on the Internet, despite being blurry and hazy. We spent $2.1 billion for a grainy instagram photo?!? NASA InSight explained the reason behind the grainy photograph, attributing it to Martian dust. "My first picture on #Mars! My lens cover isn’t off yet, but I just had to show you a first look at my new home." The spacecraft was launched from California in May, with a mission cost of close to $1 billion. It will spend the next 24 months - about one Martian year - collecting a wealth of data to unlock mysteries about how Mars was formed and, by extension, the origins of the Earth and other rocky planets of the inner solar system. The three-legged lander streaked into the thin Martian atmosphere at 12,300 miles (19,795 km) per hour and plunged 77 miles to the surface within seven minutes, before it slowed to a gentle touchdown thanks to atmospheric friction, a giant parachute and retro rockets.